Happy new year to you all reading this article. Have you made your resolutions and financial budgets for the year 2018 already? Well, if you have, then get ready to edit it because Tecno really wants to tap into your pocket for the year 2018. 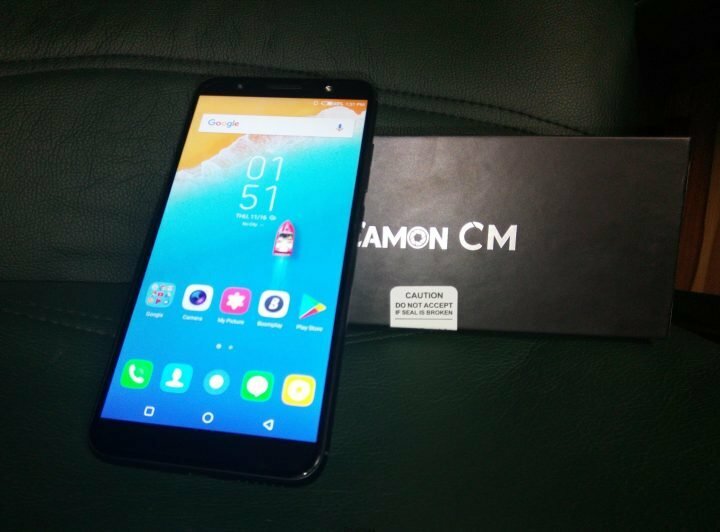 The Company launched the Camon CM (CMore) early this January with a Full Vision Display, that is the trending 18:9 aspect ratio. I was able to lay my hands on one which I’ll be reviewing in details later. 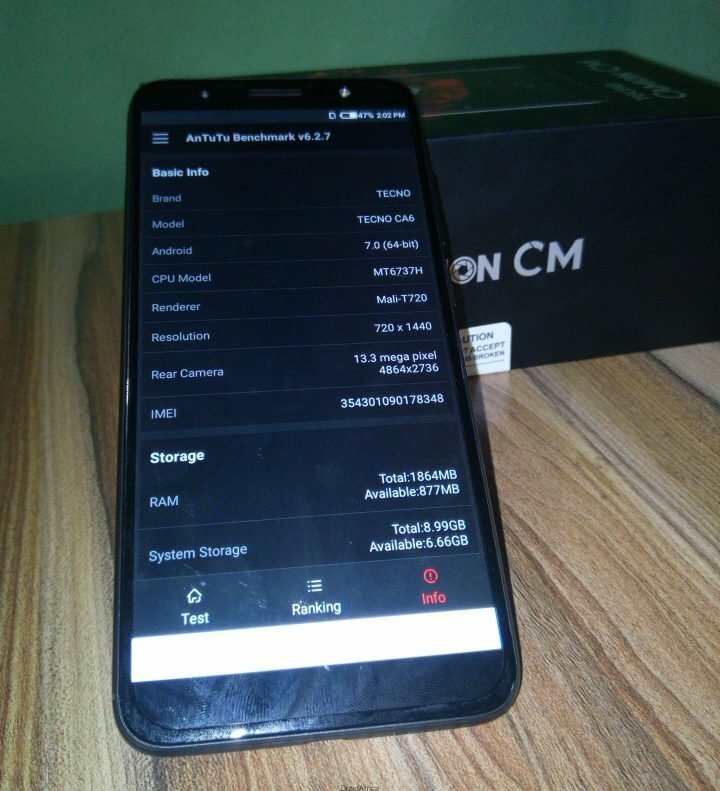 But if you wants to know what my first impressions were, then read my full unboxing review and Antutu Benchmark of the Camon CM. Of course, it not everyone that loves reading, so I made a very short unboxing Review and Antutu Benchmark video, and you can watch it right now on YouTube. The device is available in three colors; Champagne Gold, Coral Blue and Midnight Black, which is the one I have. 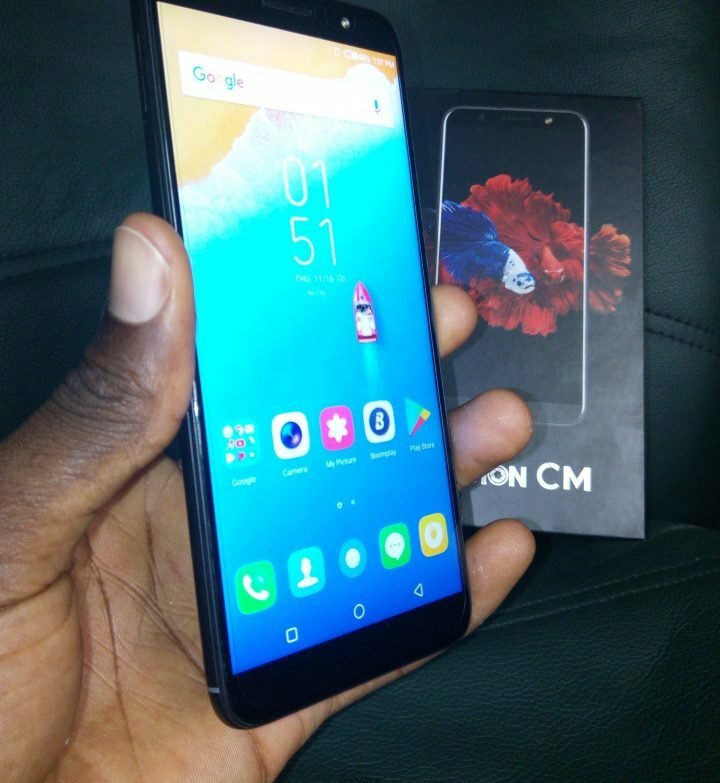 About built, the Camon CM is an all metal phone. 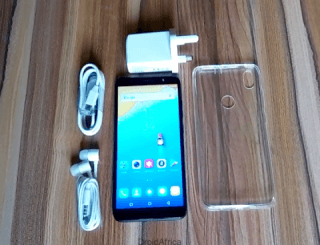 The design seems similar to what we saw on the Tecno Phantom 8 with the major design differences being the Full Vision Display and the rear camera positioning which follows the design of Tecno Camon CX and the CX Air. The display is a 5.7-inch (5.65-inch) with 720 x 1440 display, resulting to 280 pixel per inch. In reality, the display is crisp and bright. 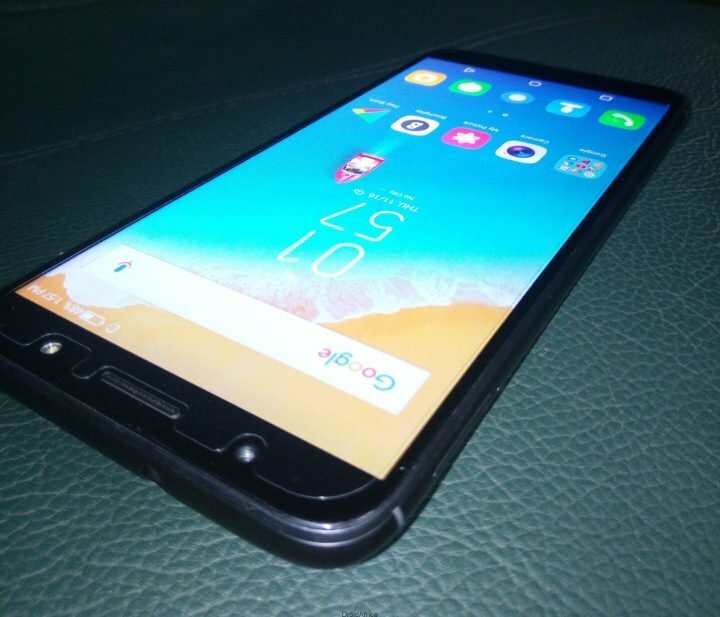 Another thing I also love about the CM is the fact that it looks smaller and more easy to hold compare to other 5.5-inch device currently undergoing review like the Leagoo T5C. Above the display is the 13-megapixel selfie camera and a notification LED kept on one side, the speaker grill at the middle and the front facing flash light to the other side. The loud speaker, USB 2.0 port and the mic are kept at the base of the device. The right hand-side carries the power button and the volume rocker. 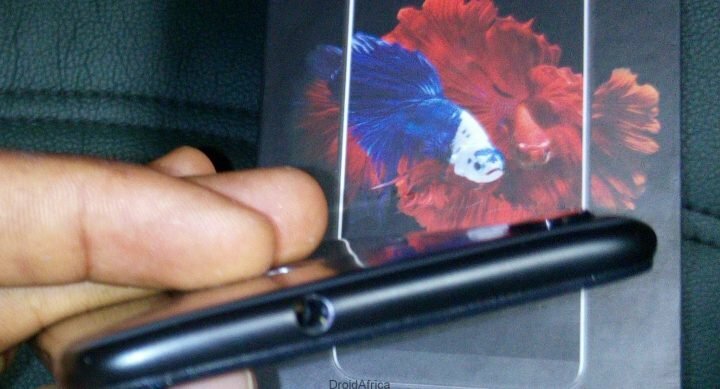 There is a 3.5mm audio jack at the top, and a three-in-one card slot to the left hand-side. The card slot can host 2 nano-SIMs and a 128GB SDcard at same time. 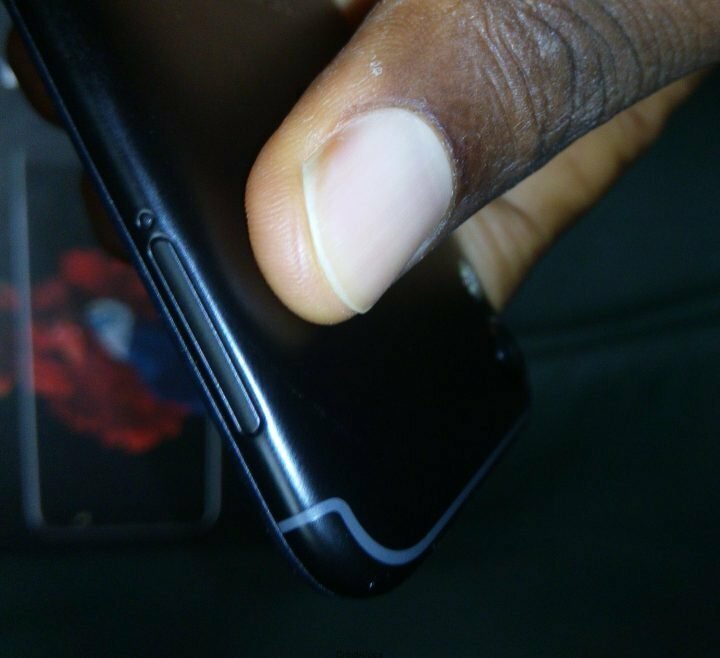 It is a complete metal built, so to ensure signal quality is not compromised, Tecno slammed antennae straps above and below the back panel, giving the device same premium design seen on the Tecno Phantom 8. 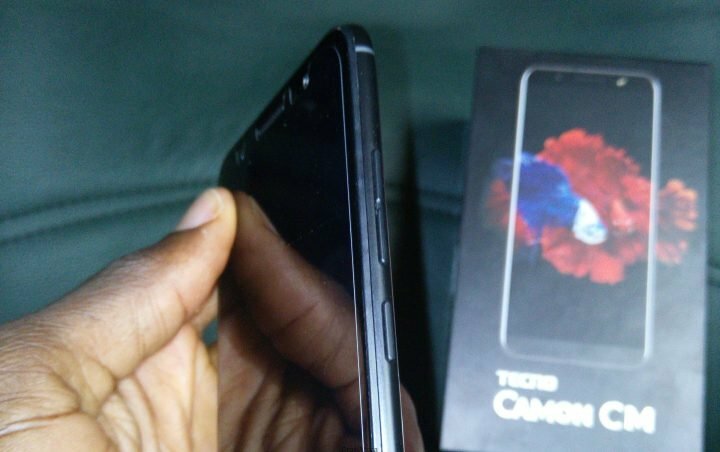 Other stuffs at the back include the rear 13-megapixel single sensor camera, quad-RING LED flash and a rear fingerprint scanner, and of course the Tecno logo and the Camon branding. 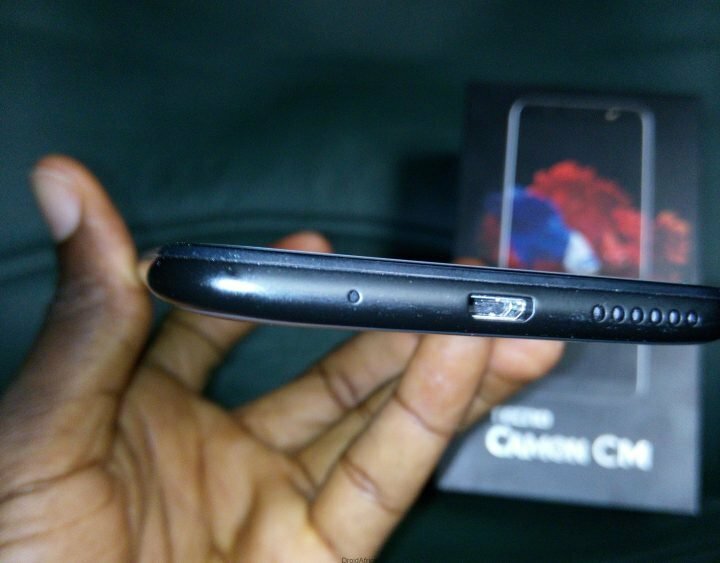 Since the design of the smartphone is uni-body, I was not able to access the battery, but Tecno listed the Camon CM to have a 3000mAh battery which I will tested thoroughly in the full review. 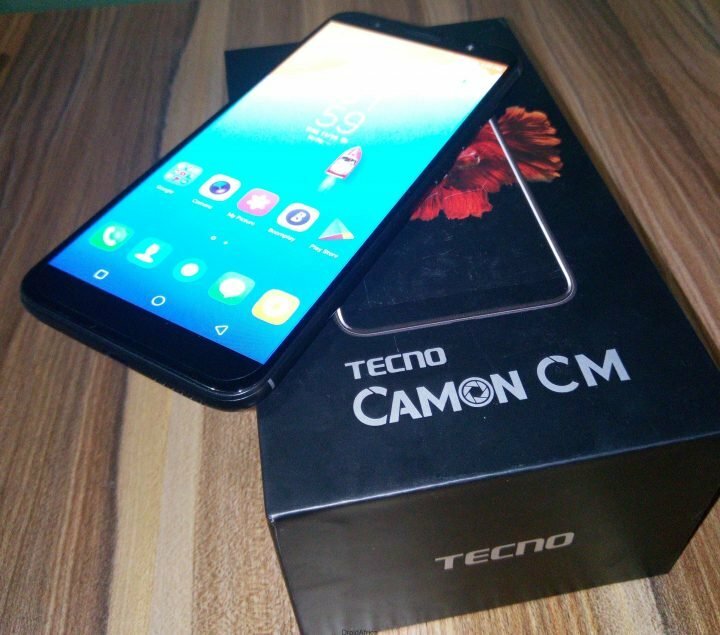 As for the operating system, the Camon CM is running Android 7.0 underneath Tecno propitiatory HiOS 3.2.0 OS. To confirm some of the internal specs, I ran the popular Antutu app. 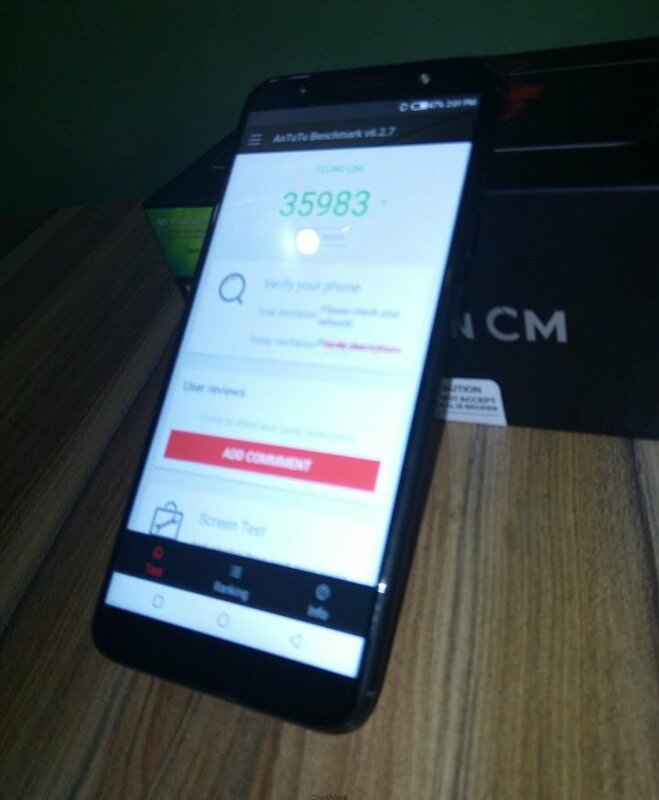 The result showed the phone running MediaTek MT6737H processor clock at 1.3Ghz along with Mali-T72o GPU. 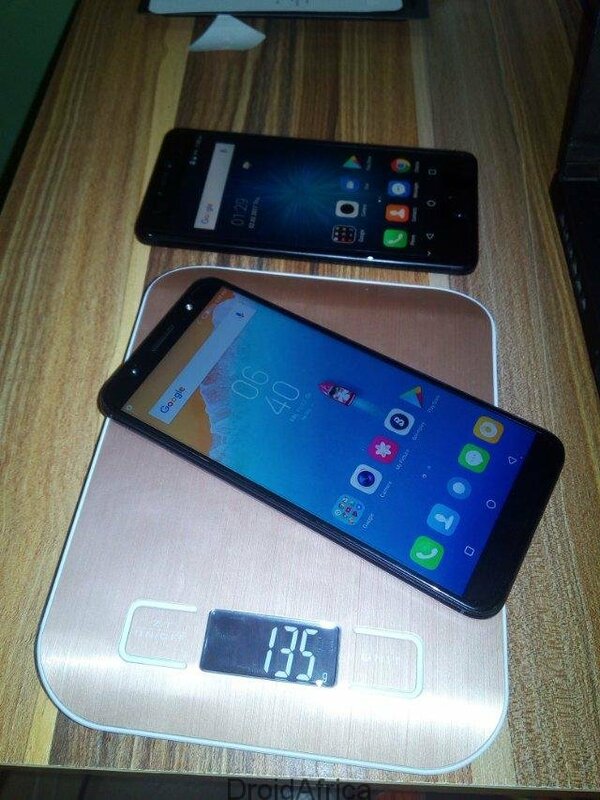 There is also a confirm 16GB internal storage and 2GB RAM. Meanwhile, If you have any specific area you want me to focus, or a particular aspect of the device you want me to review, please drop your suggestion in the comment box below. See you online.